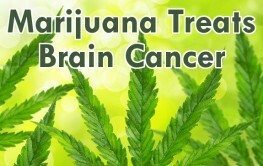 In 1975 our lovely government hid a study which found THC kills cancer. Period. Time to legalize and stop demonizing THC. I’ve heard of people reporting better results than in 4) but 2/9 getting a decrease in tumour cells and average survival of 6 months isn’t bad when you consider the type of cancer this is, the fact that radiation often melts your brain ( more literally than you’d think) and how they only used THC instead of whole cannabis oil. It also seems that they started the THC a little too late (RSO won’t save you if you only have a week to live)…and then if they were having morphine, well everyone knows that speeds the deaths of cancer patients- it suppresses the respiratory centres whereas cannabis does not. I’m also walking around the house and going to doctor’s appointments. I started walking within 2 weeks of being approved for medical marijuana. 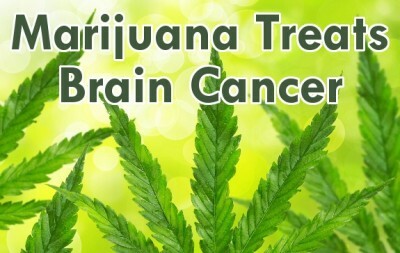 Those who oppose the use of marijuana as medicine are fearful of the loss of profits to their enormous cancer industrial complex, to be measured in tens, perhaps hundreds, of billions of dollars a year including Big Pharma, insurance companies, oncologists, elite universities and their mainly bogus research, hospitals, and funeral homes. A recent confidential poll among oncologists revealed that the vast majority, should they, or their wives or children come down with cancer, would not use the remedies they use on their clients. What’s not to like? Monsanto’s GMO’s give us cancer and conventional toxic treatments ensure that our heirs only inherit our medical bills, or in the case of senior citizens, more national debt. Additionally, psychopathic entities gain from the maximumization of pain and suffering.